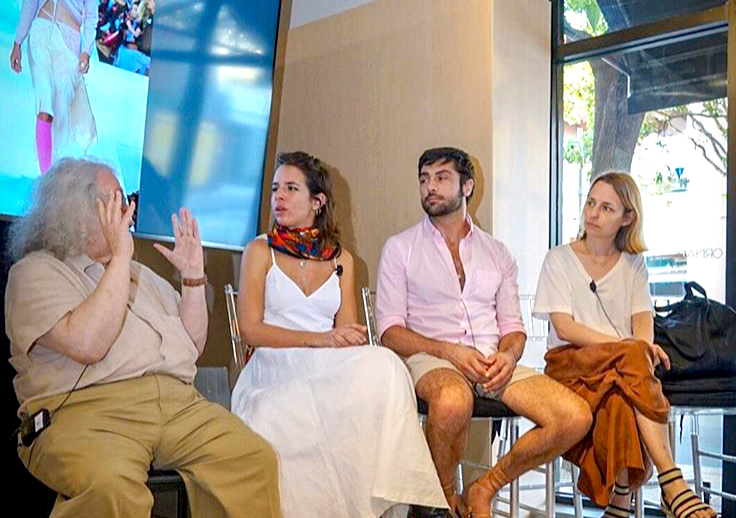 In March 2019 we presented Layering: Fashion, Art, Cinema in collaboration with Miami Film Festival and Miami Design District. Over three days of screenings and discussions our programme delved into some of the creative affinities between fashion, cinema and art. Our billboard at the Design District in Miami in the run-up to the festival. 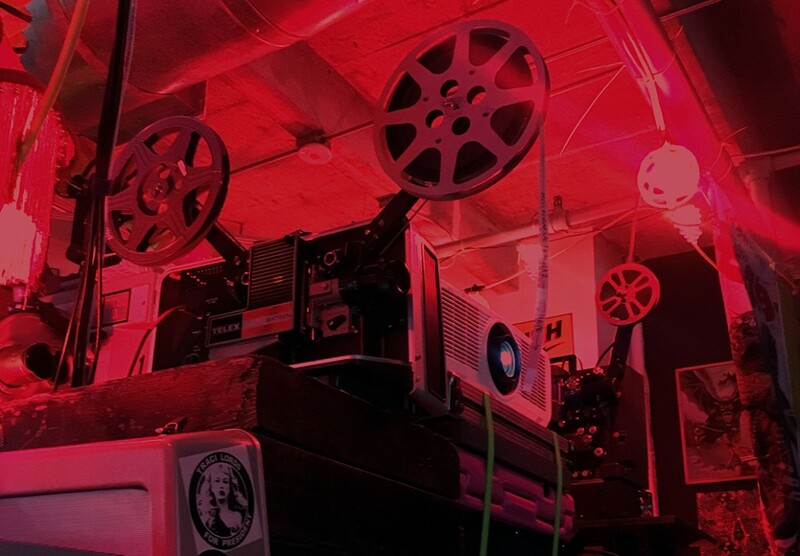 A sneak peak from our 16mm screening of Jose Rodriguez-Soltero’s underground film Lupe, which was held at the fabulously atmospheric Nite Owl Theater. Our panel discussion The Art of Fashion Film, chaired by Christian Larsen, associate curator at the Metropolitan Museum of Art, and featuring film scholar Tom Gunning, filmmaker Vitoria de Mello Franco and Fashion in Film curator Marketa Uhlirova. To find out more about our Miami programme, click here to read a feature in the Feb/March 2019 issue of Cultured Magazine. 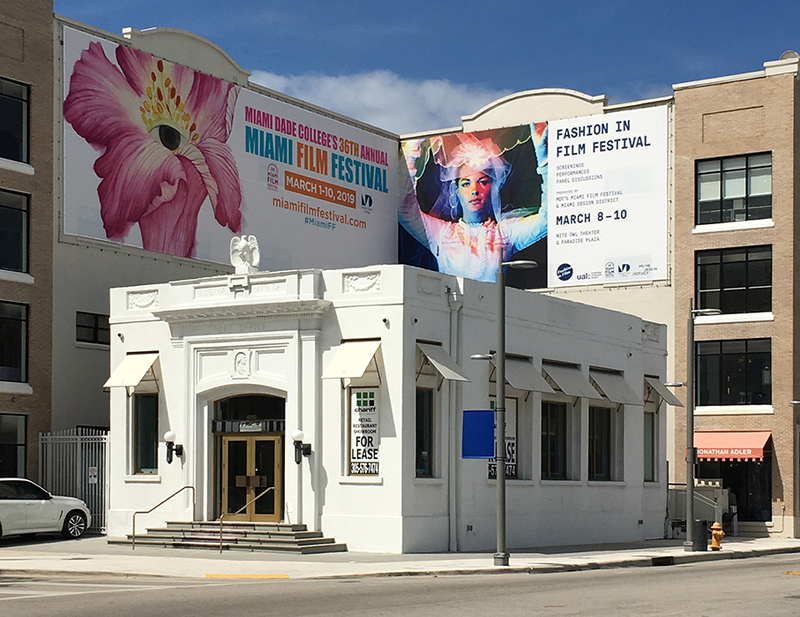 We are proud to partner with Miami International Film Festival and Miami Design District to present a three-day festival featuring film screenings, talks and panels that explore creative affinities between fashion, cinema and art. Highlighting a range of poetic sensibilities in showing dress and the adorned body in motion, the festival mixes up artist, avant-garde and underground cinema with early advertising and documentary films, as well as contemporary fashion films. 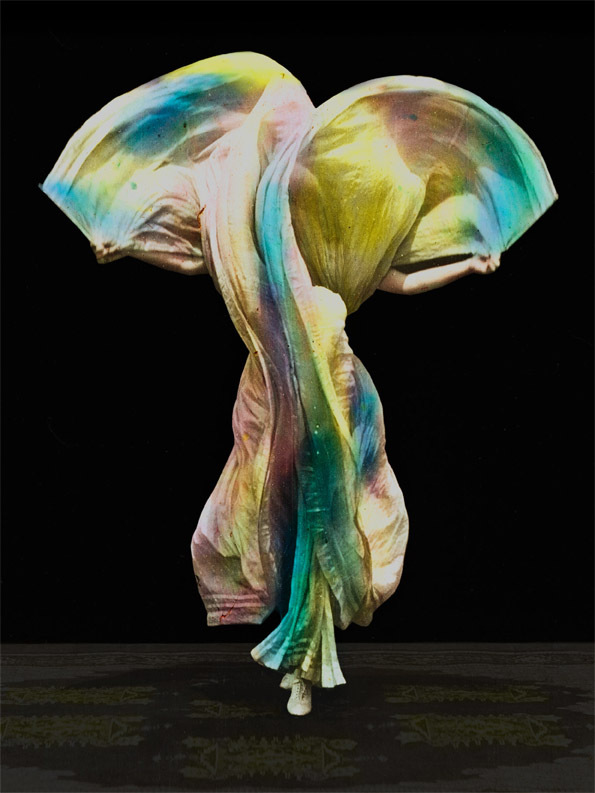 With shorts by major artists, designers, filmmakers and image-makers, including Sonia Delaunay, José Rodriguez Soltero, Nick Knight, John Maybury, Charles Atlas, Iris van Herpen, Mat Maitland, Nino Oxilia and Jacques Baratier shown alongside anonymous works, Layering presents an intricate spectrum of creative approaches and encounters. The programme is curated by Marketa Uhlirova and assistant curator Caitlin Storrie, and featuring guest speakers Tom Gunning, Eugenia Paulicelli, Vitoria de Mello Franco and Christian Larsen. To see a PDF version of the programme, click here. If you haven’t yet had a chance to see The Inferno Unseen (2017) with the brilliant score by Rollo Smallcombe, here are some future screening dates. We will be updating these as and when new dates are confirmed. Also, read here Marketa Uhlirova’s essay about the making of the film, published in Notebook. 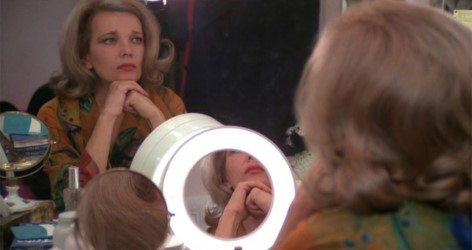 In this essay artist Kim Coleman explores themes of female ageing, dressing, acting and mirroring in John Cassavetes’s 1977 masterpiece Opening Night. 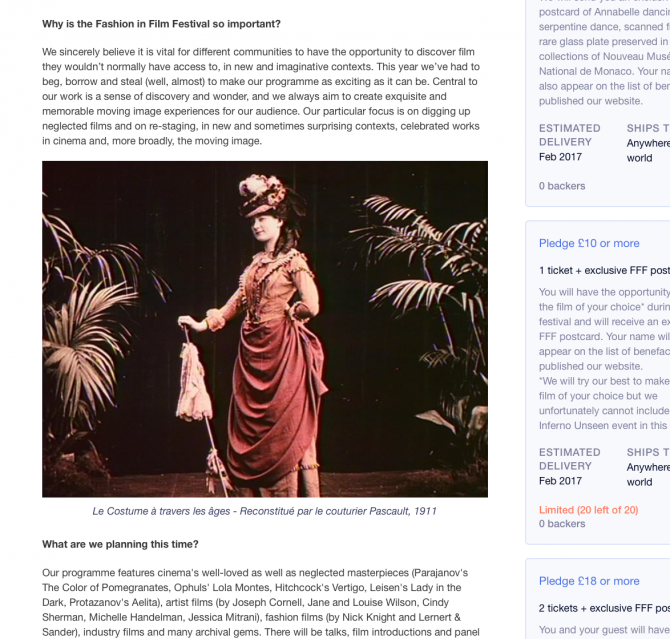 The text is an amended version of Coleman’s introductory notes to the film, shown on the opening night of our festival season Wearing Time: Past, Present, Future, Dream at Curzon Soho in March 2017. In April we returned to the Museum of the Moving Image with our latest season Wearing Time: Past, Present, Future, Dream, co-curated by Tom Gunning and Marketa Uhlirova. Thanks to everyone who came! The programme included screenings, talks and debates taking a wide-ranging look at the relationship between fashion, cinema and time. On the opening night we presented the US premiere of The Inferno Unseen – in collaboration with MUBI and Lobster Films – brought to life by Rollo Smallcombe’s live electronic score, plus guest speakers including Alistair O’Neill, Jessamyn Hatcher, Francesca Granata, Ashish Pant and Drake Stutesman. 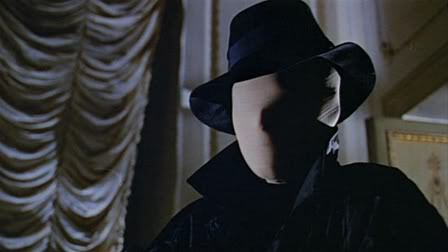 Other highlights included a beautiful 4K restoration of Sergei Parajanov’s masterpiece The Color of Pomegranates (Sayat Nova, 1969), Mitchell Leisen’s rarely screened Lady in the Dark (1944) with Tom Gunning’s introduction, and Czechoslovakia’s adaptation of Stanislav Lem’s sfi-fi novel Magellanic Cloud (1953) Ikarie XB-1 (1963, released in the US as Voyage to the End of the Universe). Click here to read the New York Times coverage; here for a Nowness article about The Inferno Unseen and here for j.b. spins blog about we like. Click here for the full programme at MoMI. With grateful thanks to Mary Lapides for supporting our opening event! Click here for an Italian Vogue article about our programme at Teatrino di Palazzo Grassi, which took place 24-26 January 2018 in collaboration with IUAV University of Venice. The programme explored dress in motion and time from the perspectives of fashion, cinema and art. 16mm test run for Christine Noll Brinckmann’s film Dress Rehearsal (1979) featuring Karola Gramann. 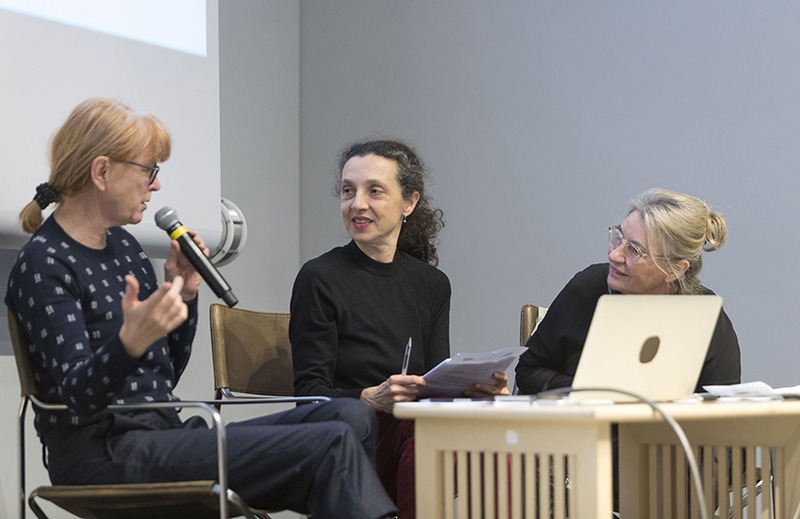 Kiri Inglis (MUBI), Martina Malobbia (Palazzo Grassi) and Marketa Uhlirova (FFF) presenting The Inferno Unseen (2017), a new cut of Henri-Georges Clouzot’s unfinished film from 1964. The film was co-produced with Lobster Films. 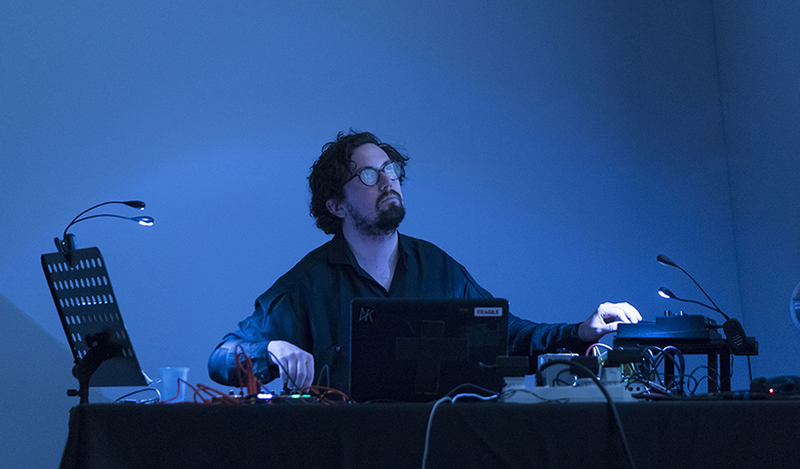 Rollo Smallcombe performing his live score to The Inferno Unseen, which he also co-edited. 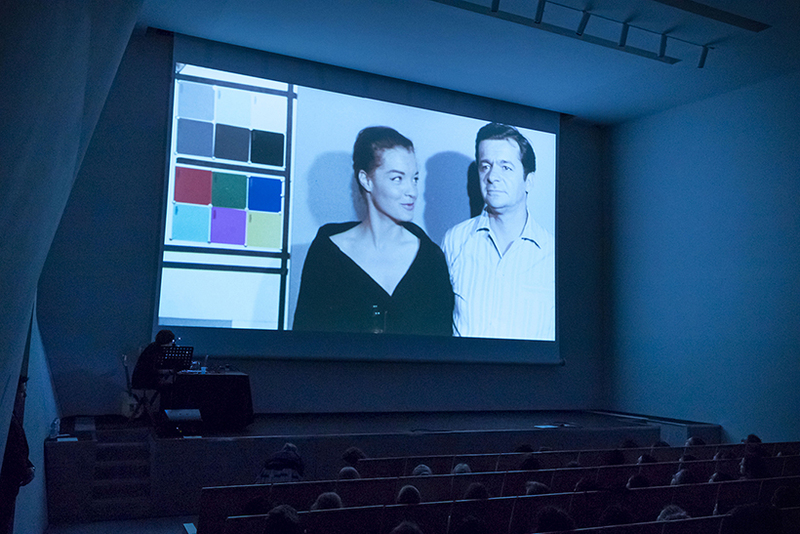 On screen: Romy Schneider and Serge Reggiani’s colour test, The Inferno Unseen. 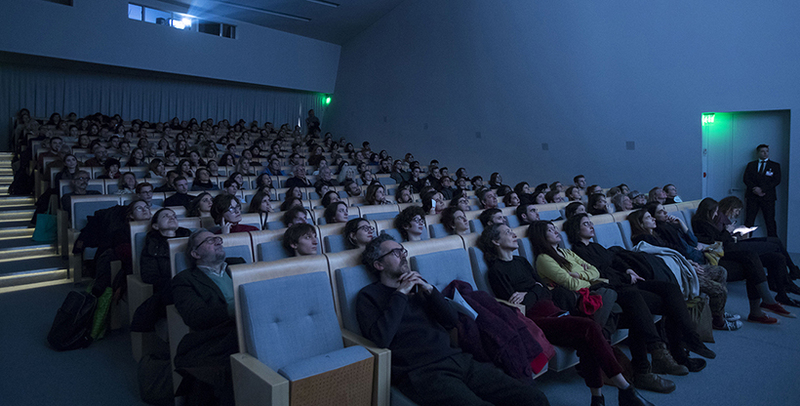 The atmospheric auditorium at the Teatrino at Palazzo Grassi, restored by Tadao Ando in 2013. 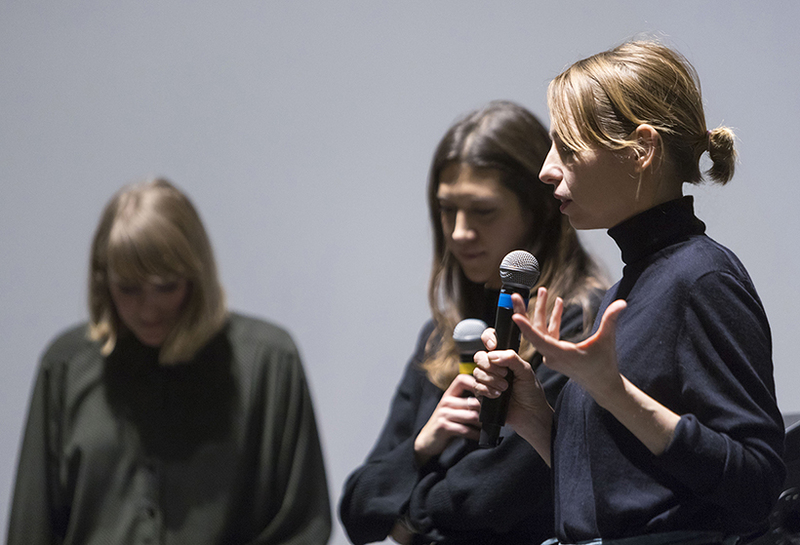 Caroline Evans, Alessandra Vaccari and Nanni Strada in conversation during IUAV’s Fashion Aperture workshop. Nanni Strada showed her film Il manto e la pelle, originally commissioned by the Triennale di Milano in 1974. Il Manto e la pelle. For more on Strada and the workshop, go to Contessanally’s blog post. 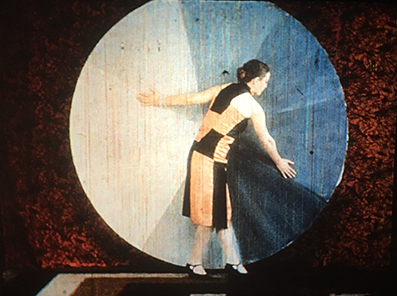 With huge thanks to the Archives françaises du film, CNC, we have just added a beautifully restored ‘Sonia Delaunay’, film to our programme at Palazzo Grassi. 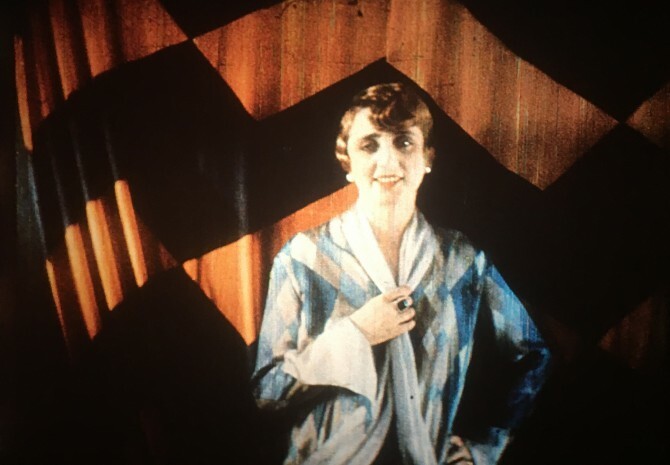 This rare fashion film is an exquisite showcase of Sonia Delaunay’s ‘Simultaneous’ dresses and fabrics, quite possibly made at the artist’s Parisian studio and home at 19 Boulevard Malesherbes. 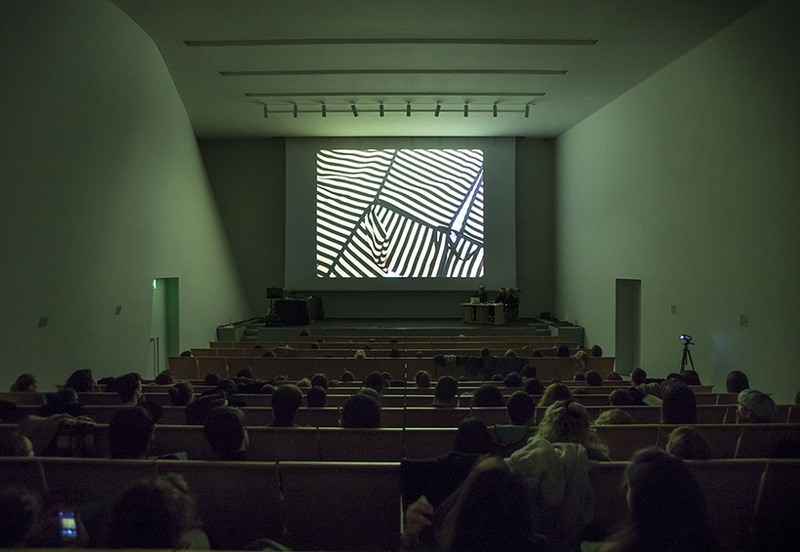 We are thrilled to announce a three-day programme of screenings and workshops this January, organised in partnership with the Università Iuav di Venezia. 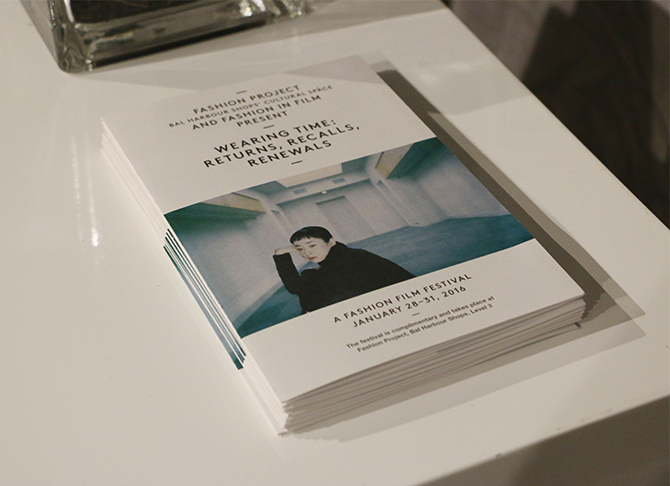 The programme explores the links between fashion, cinema and art. Between 11–26 March 2017 Fashion in Film Festival celebrated its 10th anniversary with a season curated by the festival’s director Marketa Uhlirova and the cinema scholar Tom Gunning, exploring the connections between fashion, cinema and time. Download our FESTIVAL BROCHURE as PDF. The festival ran across major London venues, including Barbican Centre, Curzon cinemas, Genesis Cinema, Central Saint Martins, Rio, Prince Charles Cinema, Picturehouse Cinema, The Horse Hospital and The Hoxton. A huge thank you to all our speakers, venues, sponsors, partners and supporters, and a big thanks also to our audience! Click on the link above to see who supported our 2017 London season. New York-based artist Michelle Handelman, whose film Irma Vep, The Last Breath was included in our latest season WEARING TIME: PAST, PRESENT, FUTURE, DREAM, talks to Aya Noel about women in cinema, fluid identity and costume as a state of mind. 1. 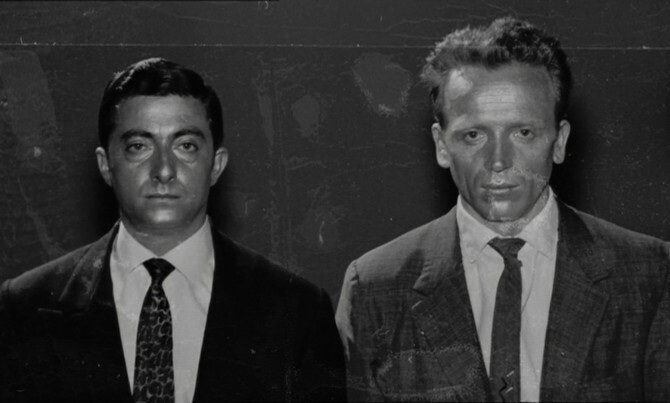 The Inferno Unseen – I’ve seen some of this footage before but I am really looking forward to seeing it made into some kind of end-product rather being simply a collection of visually amazing screen-tests. 2. Space is the Place – This is one of those that I’ve heard a lot about over the years but have never actually seen. I’m a sucker for space-related films & music so this is a double-whammy for me! 3. Lola Montes – Sophie Calle told me that this was maybe the best-looking film ever. Who am I to argue? 5. 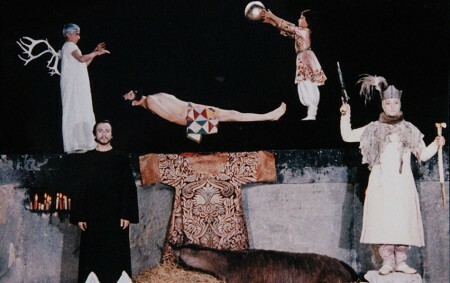 The Colour of Pomegranates – I’ve only ever seen stills from this – which looked intriguing enough to make me want to see the film they come from. To kick off our 10th Anniversary Festival, its co-curator, the influential film historian Tom Gunning, will be hosting RESURRECTING AND RE-EDITING THE CINEMA DIVA. 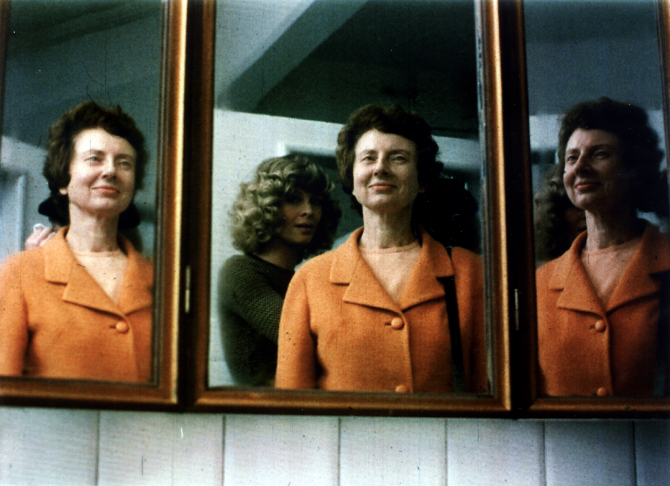 a programme of artist films from the 20th and early-21st century. The films invoke female stars from cinema’s past, re-imagining, and even re-assembling them from a later perspective that allows us to see them as incandescent images of desire clothed in costumes of fantasy and role play. The films featured are Rose Hobart by Joseph Cornell (1936, Unfolding the Aryan Papers by Jane and Louise Wilson (2009), and Irma Vep, the Last Breath by Michelle Handelman (2013/2015). The first strand, ‘The Past: Returns, Recalls, Renewals’, delves into fashion and film’s capacity to return to – or suppress – the past. There is something uncanny about rediscovering an old familiar dress and indeed, it can awaken ghosts and revenants that return to haunt the living. No film has so well defined a modern sensibility of time as Last Year in Marienbad (Alain Resnais, 1961), which sets its meditation on the past and memory within the most fashionable locations, the ‘Marienbad Spa’ (the film was in fact filmed in Bavaria). Clothing has the power to transport the wearer, and the viewer, to the past, but it can also be a marker of time. Narratives of aging and rejuvenation depend on convincing changes in fashions, hair, and make-up. Clothes can signal different times of day and accompanying rituals. 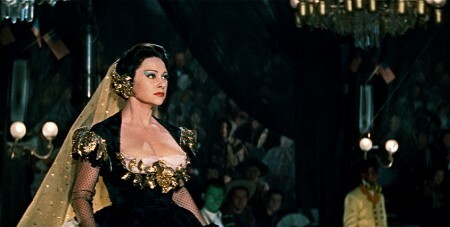 As a major source of visual spectacle, Hollywood films in the studio era often announced the number of costume changes a leading lady would go through. Even a single garment can measure cinematic time: Hollywood classic Tales of Manhattan (Julien Duvivier, 1964) follows the story of a single tailcoat through the lives of five different owners. 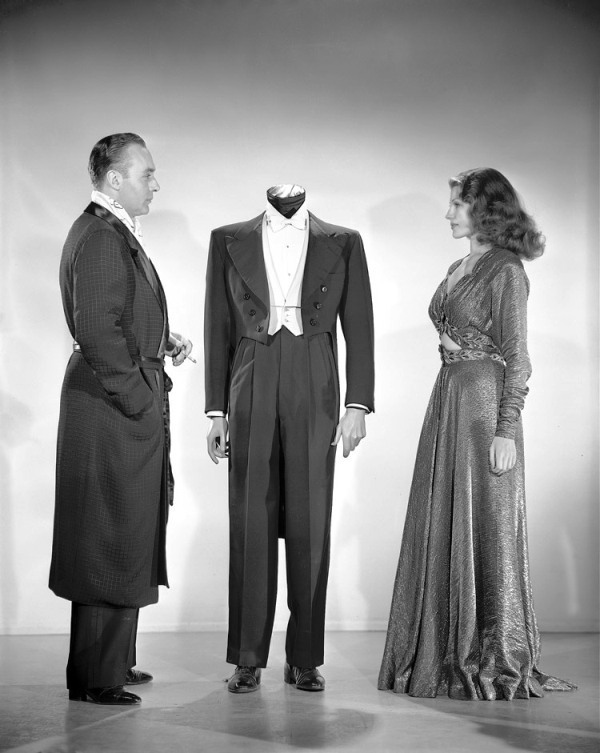 In the British wartime propaganda short In Which We Live: Being the Story of a Suit Told by Itself (Richard Massingham, 1943), a suit is not only the star but also the talking protagonist. The second strand, ‘The Present: the Fabric of Time’, explores fashion and cinema’s power to become manifestations of the present. How can dress or fabric embody cinematic time? How can the processes of making dress, wearing or fashioning oneself make time a tangible, felt entity? This strand tackles this most complex set of riddles largely through special events and talks, with an emphasis on performance, duration and process. In a world premiere at the Barbican, we are proud to team up with Lobster Films and MUBI to present a new cut of never-before seen rushes by French director Henri-Georges Clouzot, made in preparation for his film The Inferno (which remained unfinished in 1964). 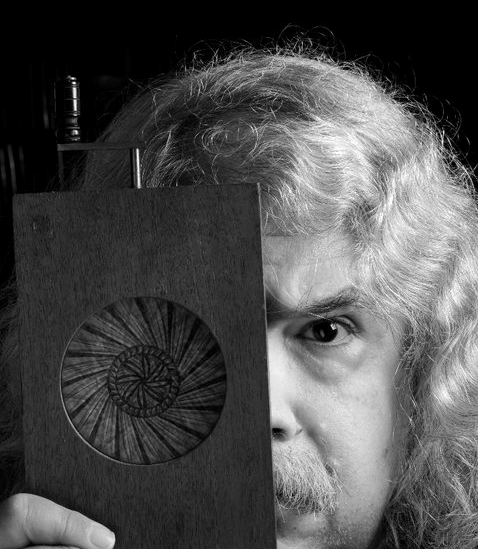 The awe-inspiring kinetic experiments will be accompanied by a newly commissioned musical score by Rollo Smallcombe. At Central Saint Martins, curators Alistair O’Neill and Inga Fraser will discuss British artist films of the late-20th century, which make explicit links between the materiality of dress and cinema. 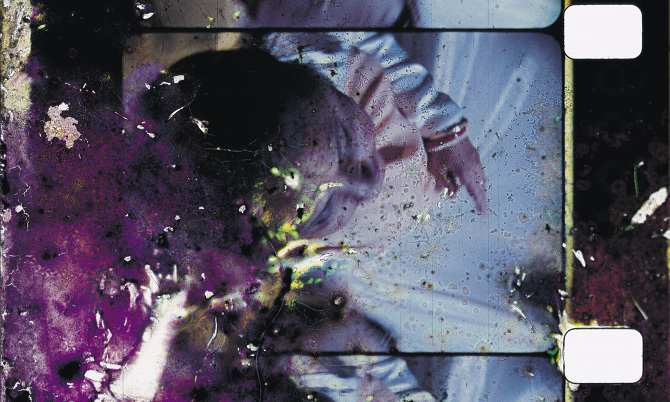 Works by Alia Syed, Alexis Hunter and David Lamelas will be considered in relation to the legacy of Annabel Nicolson’s iconic performance Reel Time (1973), which conjoined a film projector and a sewing machine through a loop of celluloid. Agnès Varda’s iconic film Cléo from 5 to 7 (1962) represents time in its most pressing, existentialist form as it follows protagonist Cléo while she waits for the results of her cancer screening. The third strand, ‘The Future: What Does It Wear?’, will highlight the cinema as an important platform for expressing utopian as well as dystopian visions of the future. To give a concrete form to one’s idea of the future involves not only taking an imaginative leap into the unfamiliar, but also great resourcefulness and creativity in re-using what already exists. For the future to speak to us, we must be able to recognise ourselves in it; it has to show itself as an unfamiliar version of the present. With science-fiction masterpieces such as Things to Come (William Cameron Menzies, 1936), Ikarie XB-1 (Jindrich Polak, 1963) and Solaris (Andrei Tarkovsky, 1972), the audience will step into imagined worlds where costume and set design play the key role of giving the future a coherent and plausible look. The final strand, ‘Dream Fashion: the Unconscious’ explores the relation between fashion and dreaming. 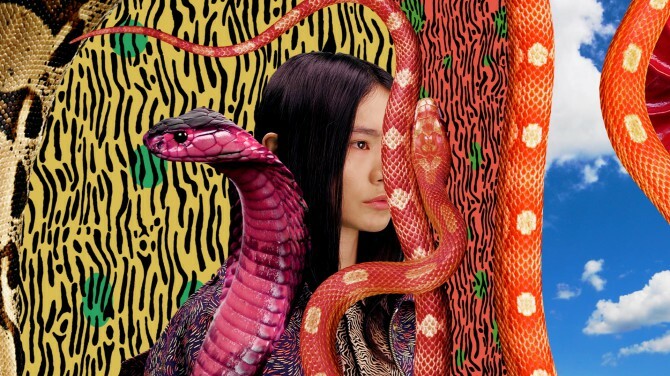 If cinema itself has frequently been likened to dream, here we pursue more specifically its investment in the dream, reverie and fantasy as a realm in which fashion can truly flourish. Enchanting musicals Lady in the Dark (Mitchell Leisen, 1944) and the Japanese Princess Raccoon (Seijun Suzuki, 2005) will have viewers succumb to unpredictable temporalities in which unconscious recesses of the mind are expressed. And in the silent spectacular Aelita (Yakov Protazanov, 1924), Soviet Russia’s harsh social reality and its hopes of a better future are negotiated against the dream/nightmare of a ‘progressive’ Martian society kitted out in daring futurist-constructivist designs. Among other films shown at the festival are: Barbarella (Roger Vadim, 1968), Vertigo (Alfred Hitchcock, 1958), Tony Takitani (Jun Ichikawa, 2004), Lola Montes (Max Ophuls, 1955), Rose Hobart (Joseph Cornell, 1936), Om Shanti Om (Farah Khan, 2007), Solaris (Andrei Tarkovsky, 1972), Beyond the Rocks (Sam Wood, 1922), My Fancy High Heels (Chao-ti Ho, 2010), and numerous short films from film archives and by artists, including Michelle Handelman, Jane and Louise Wilson and Jessica Mitrani. In addition to festival curators, the speakers in this year’s festival include: Sir Christopher Frayling (author), Alice Rawsthorn (writer on design and art), Caroline Evans (fashion historian), Alex Fury (fashion journalist), Orsola de Castro (Fashion Revolution), Alice Wilby (Novel Beings), Timothy Long (fashion curator), Inga Fraser (modern art curator), Alistair O’Neill (fashion curator), Djurdja Bartlett (fashion historian), Cathy Haynes (artist and curator), Roger K. Burton (costume designer), Ian Christie (film historian), Alessandra Vaccari (fashion historian), Bel Jacobs (fashion journalist), Rosie Wallin (designer), and Silvia Vacirca (fashion and media scholar). 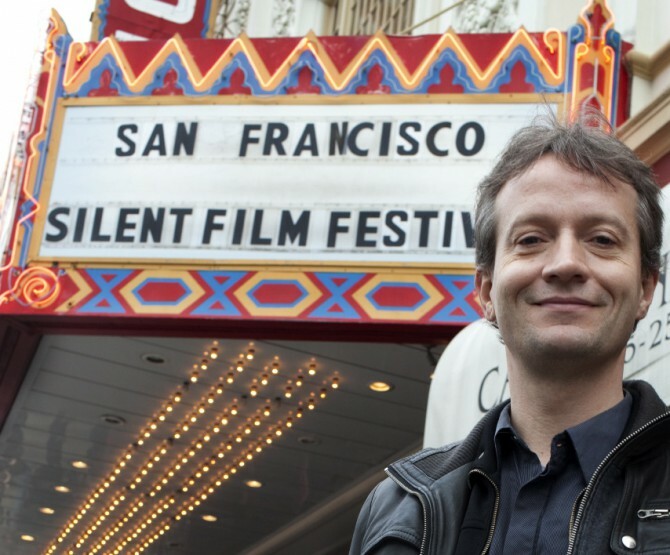 All silent films will be accompanied by a live musical performance by Stephen Horne. We have reached our Kickstarter target, thanks to all of you who have pledged! Roll on the festival. Read an interview with Fashion in Film’s Director Marketa Uhlirova, reflecting on the festival’s decade of existence and plans for the forthcoming season, co-curated with cinema historian Tom Gunning. Fashion Project Director Cathy Leff introducing the festival & Fashion Project Space. Kate Sinclair introducing the festival. 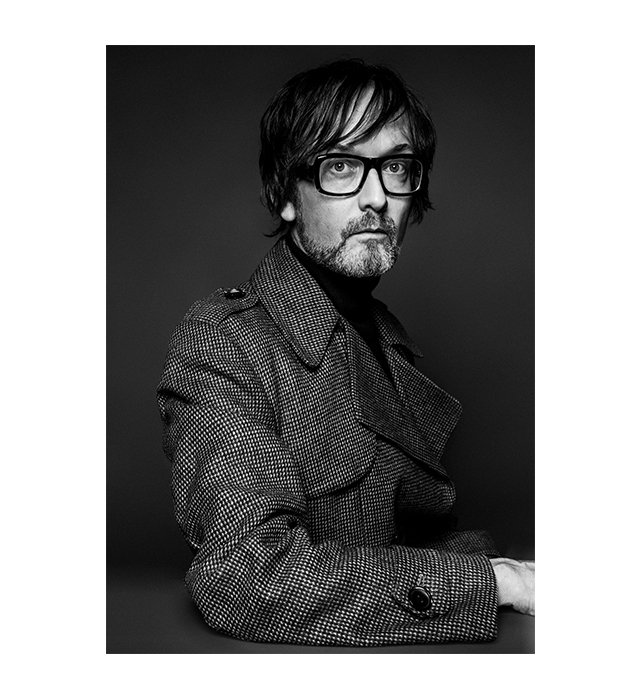 Curators Marketa Uhlirova and Tom Gunning in conversation about cinema, fashion and time. In partnership with Fashion Project at Bal Harbour Shops, Miami. The four-day festival is co-curated by Tom Gunning and Marketa Uhlirova and explores cinema’s fascination with the abstract relationship between fashion and time. 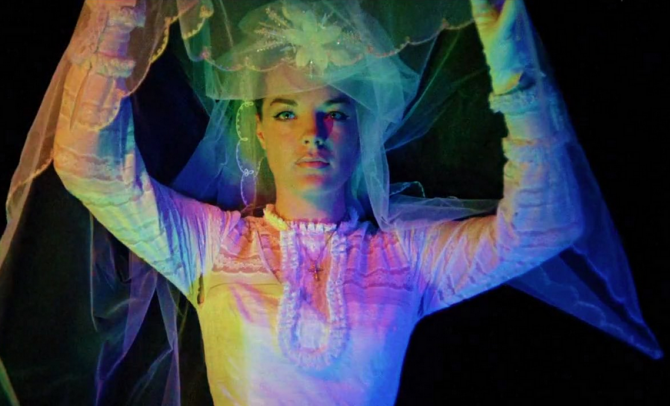 Through celebrated classics, newsreels, documentaries, fashion films and artist films, this program explores cinematic clothing as a vehicle of reconnecting the past with the present and the future. The programme asks what concrete manifestations of time fashion and clothing enable in film: What kind of chronologies and histories? Origins and memories? Echoes and shadows? Projections, visions, or premonitions? We are proud to announce that our latest publication, Birds of Paradise: Costume as Cinematic Spectacle, has been awarded one of the prestigious “Most Beautiful Swiss Books of 2014″ prizes! Join us to celebrate at the award ceremony and exhibition opening in Zurich on June 25th. Our book will be displayed alongside other winners in an exhibition which will tour locations including Helmhaus in Zurich, Centre Culturel Suisse in Paris, Kunsthalle in Basel, Institut Curatorial de la HEAD in Geneva as well as venues in cities including Tokyo and Milan. THANK YOU TO ALL OF THOSE WHO TOOK PART IN THE 5TH FASHION IN FILM FESTIVAL IN MARCH! 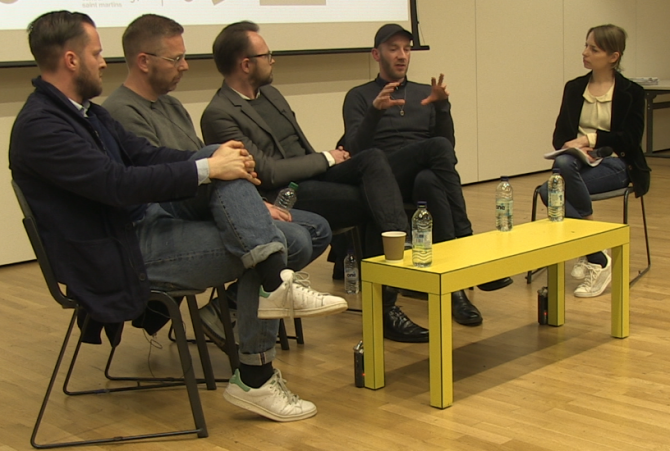 The programme, curated by Hywel Davies and Marketa Uhlirova, was a vibrant series of panels and conversations designed to explore the recent rise of the moving image in the fashion industry. It was held between 17–24 March 2015 in London’s Central Saint Martins, Somerset House and Hackney Picture House, and featured over 25 acclaimed industry practitioners and commentators, including Nick Knight, Caryn Franklin, Lernert & Sander, Quentin Jones, Caroline Evans, Alex Fury, Jessica Mitrani, Stephen Whelan, Marcus Werner Hed, Kathryn Ferguson, Jennifer Byrne, Nick Rees-Roberts, Pamela Church-Gibson, Oriole Cullen, Agnes Rocamora and more. We are planning to make some of these conversations public, so watch this space! 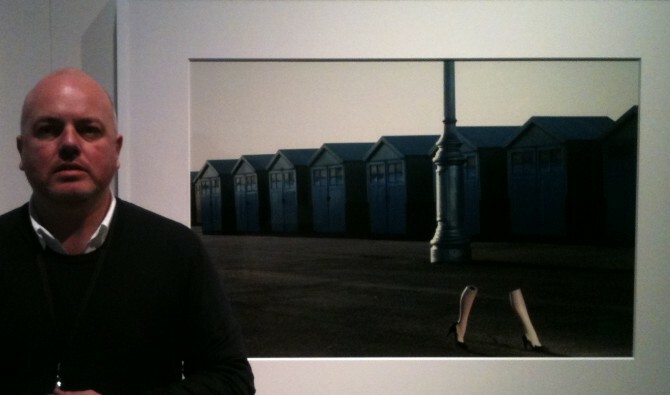 As a major retrospective exhibition of Guy Bourdin’s work opens at Somerset House, co-curator Alistair O’Neill shares thoughts on his own curatorial process, the photographer’s legacy and those elusive ‘fashion films’. Read here. 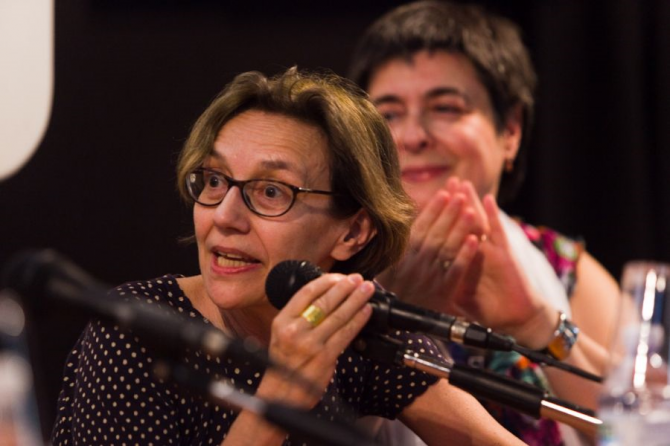 Read our conversation with the brilliant and passionate film curator Mariann Lewinsky, one of the treasures of Bologna’s annual festival Il Cinema Ritrovato. Back in July this year we asked Mariann about her archival research, silent film performances and acting and, of course, fashion. With Caroline Evans, Marketa Uhlirova, Vincenzo Maggitti, Elif Rongen and Elizabeth Lundén. Birds of Paradise: Costume as Cinematic Spectacle – Reviews and Awards. The book is edited by Marketa Uhlirova and published by Koenig Books, London, 2013. Find out more and buy the book from here: http://www.fashioninfilm.com/publications. Now available from the University of the Arts shop and a healthy % of the proceeds goes towards organising the next festival! 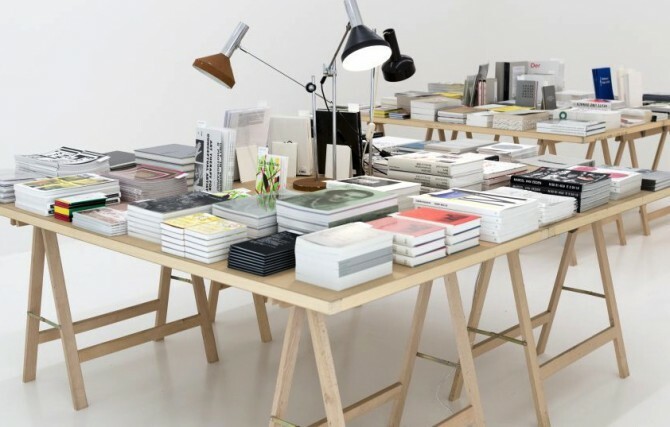 Buying from the UAL shop is a great way to directly support us. 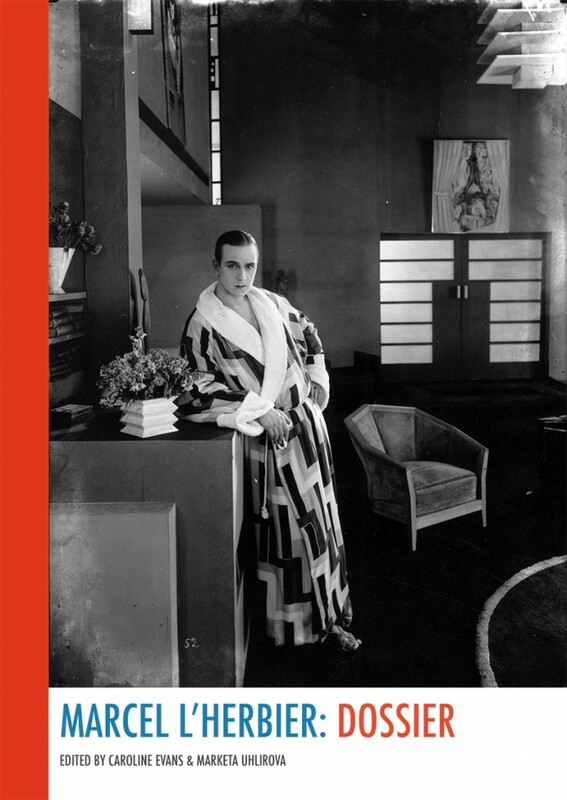 This dossier, edited and introduced by Caroline Evans and Marketa Uhlirova, is the first English-language publication on the French film director Marcel L’Herbier, to whom we devoted last year’s festival season. This downloadable online publication brings together archival visual material, newly translated quotations and newly commissioned articles by Mireille Beaulieu, Tag Gronberg, Joan Tumblety and Nick Rees-Roberts. The dossier will be updated with more articles later this year, so watch this space! 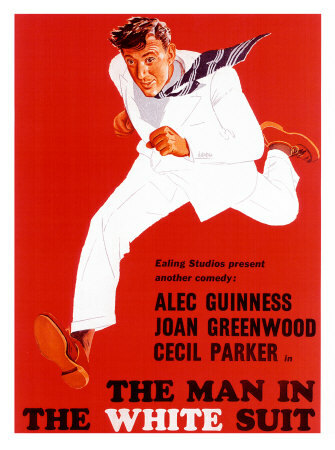 Screening of Alexander Mackendrick’s 1951 classic Man in the White Suit, followed by a panel discussion examining the notion of ‘No More Stuff’. Panelists include Barry Curtis (Royal College of Art), James Wallman (author of Stuffocation), Cyndi Rhoades (Worn Again), Claire Pajaczkowska (Royal College of Art) and Rebecca Earley (Chelsea College). Organised with Adam Thorpe (Socially Responsive Research Group, CSM). The event is part of the Green Week at CSM. How do you approach your silent film accompaniments? My approach varies from event to event, according to a number of variables. Some of these can be quite prosaic – for example, how busy I am or how much I’m getting paid! But principally my approach is dictated by the film itself. Silent films, just like today’s films, benefit from music which is broadly sympathetic to their tone and genre. This usually means music that is not overtly ‘outside the box’. But there are exceptions -for example, L’Inhumaine is a very strange, abstract film, so my music will hopefully reflect this. Even if a score was originally composed for a particular film, I don’t usually refer to it. One thing I think most people don’t realise is just what a huge amount of time is required to learn to play an original score – and, just as importantly, synchronise it with the film. If a score survives at all, it will frequently be incomplete or not match the surviving prints of the films. I’m not against recreating original scores at all – indeed, I think they are fascinating. But that’s just not my specialism. Whether you completely improvise or not, you clearly still must have the ability to respond quickly to the image in front of you. Is this particularly challenging? Are there any secrets of the trade? I started accompanying silents at the National Film Theatre over twenty years ago, and at that time pianists were not given advance screenings of the films that they were booked to accompany. This meant that, for about the first ten years or so, I accompanied every film ‘cold’. This is less of an issue for silent film musicians starting now, with DVDs and the internet, but it formed the way I approached the job. Obviously, to do the job adequately in those circumstances meant having to be able to both improvise and react quickly – turn on a musical sixpence, so to speak. I now frequently seem able to anticipate how a film is going to progress, in a way that feels almost telepathic. But I don’t think this is unique to me – I think it’s a characteristic of my generation of silent film accompanist! 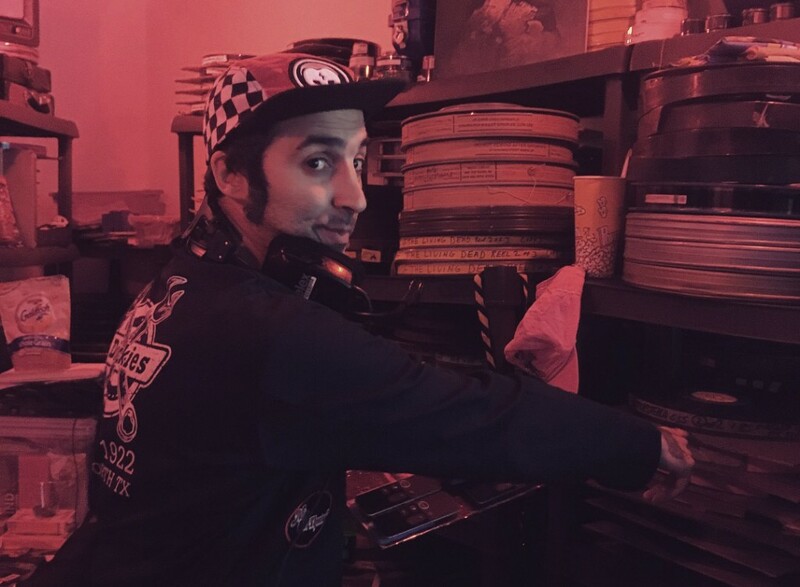 Although I have now produced several fully composed film scores, my training was as an improvising accompanist and that’s still essentially how I approach the job. You are known for using multiple instruments. Which ones, and why? Just how do you make the transitions seamless? I’ve only been a so-called ‘multi-instrumental’ accompanist for the last few years. For a very long time I only accompanied films on piano. But then one day I started to incorporate the flute, which I had stopped playing after University, and a couple of years later the accordion. Almost immediately it became my ‘USP’ – which can be a bit of a trap, because people expect it of me now! But although I think the piano is still on balance the best instrument for a solo accompaniment, people do seem to like to hear a change of sound world, even if it’s only for a short while. And recently I purchased a Theremin which I hope to use for L’ Inhumaine. I’m not making any promises, though – at the moment the noise I make with it is more akin to a feral fox than the ethereal effect I’m hoping to achieve eventually! Darius Milhaud’s original score for L’Inhumaine is notoriously lost. I am interested in how you are going to be approaching this film. Were there any sequences that you found particularly inspiring or challenging? Milhaud’s score for L’Inhumaine was apparently an integral part of Herbier’s conception, so it would be fascinating to experience how it worked with the film. But it doesn’t survive, so for me it’s an academic point. One could put together a medley score out of the music that Milhaud was composing during this period, which would be a perfectly valid approach. 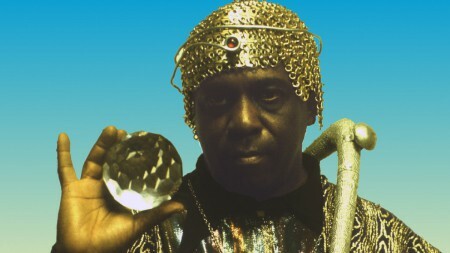 But for me the most important thing is for the music to be authentic to the spirit of the film and sometimes this can best be achieved by using techniques that wouldn’t have been available at the time that it was made. For example, I think that L’Inhumaine was trying to create an otherworldly mood and it’s possible that music which might have been considered otherworldly at the time would not have that effect any more. I want to make the film work for the audience that is watching it, by creating something that will have an effect on them equivalent to the one the film is striving for. In general, I like to wrap my own musical bubble around a film. One that is essentially timeless – in the sense of not feeling either overtly then or now. Highlights of the Fashion in Film Festival’s 2008 season If Looks Could Kill were recently on show in Copenhagen. Take a look at the original 2008 season here. Look at the festival catalogue here.